Make a statement with the Beatrice suite, which combines whimsical calligraphy with a sleek, modern typeface. All calligraphy is custom made and is not a stock font. 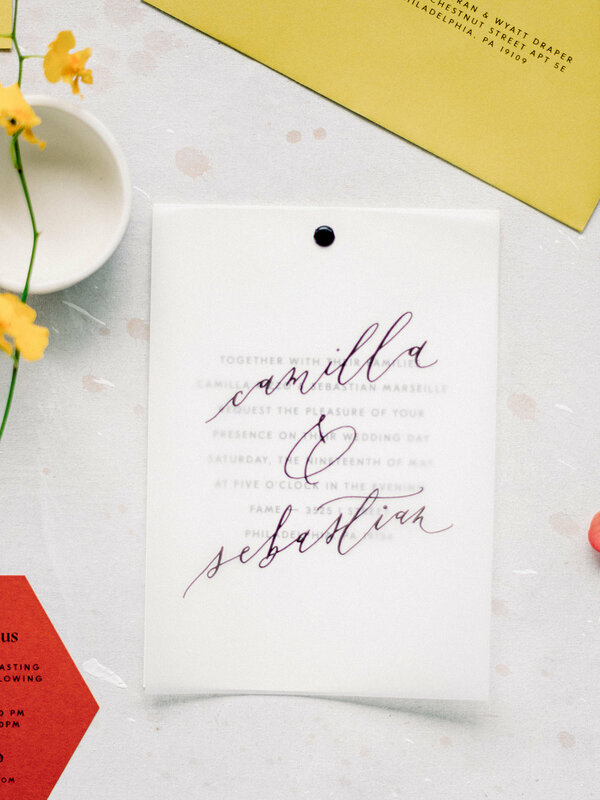 As this is a semi-custom suite, the overall design layout and format are fixed, but wording and color palette can be tailored to your special day. Add a vellum layer for extra texture or print on our selection of colored card stocks for an extra pop of color. 3.875 x 9.25” flat panel save the date card printed on your choice of white or colored card stock. Please note that only digital flat printing is available on colored card stocks. Blank envelopes included.